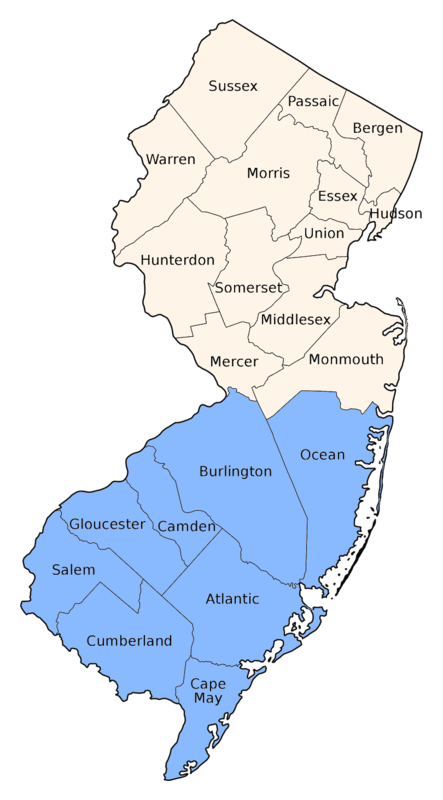 Reported locally on the coastal plain. 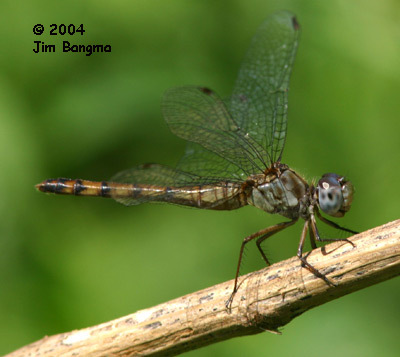 Most often found near temporary woodland ponds and swamps. 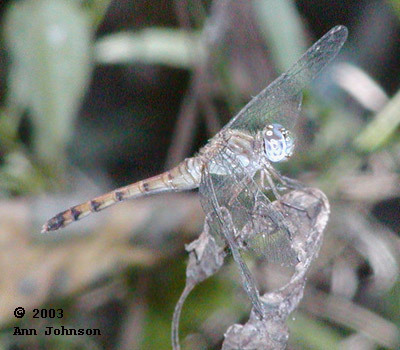 A pastel blue forehead and face, bluish eyes and a gray and brown striped thorax distinguish it from other meadowhawks. 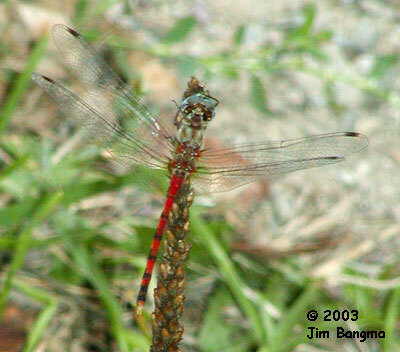 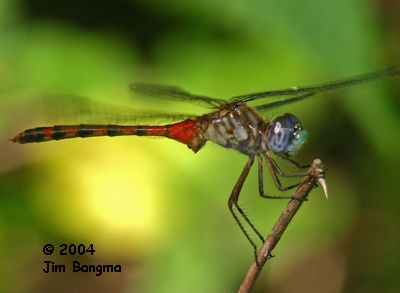 Females are similar but the red of the abdomen is replaced by brown.